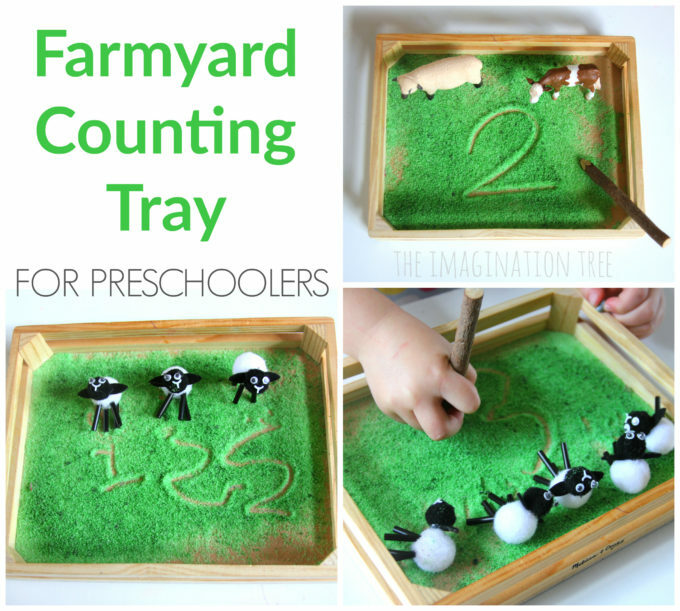 Make a simple farmyard sensory counting and writing tray for preschoolers to practise numbers and mark making! 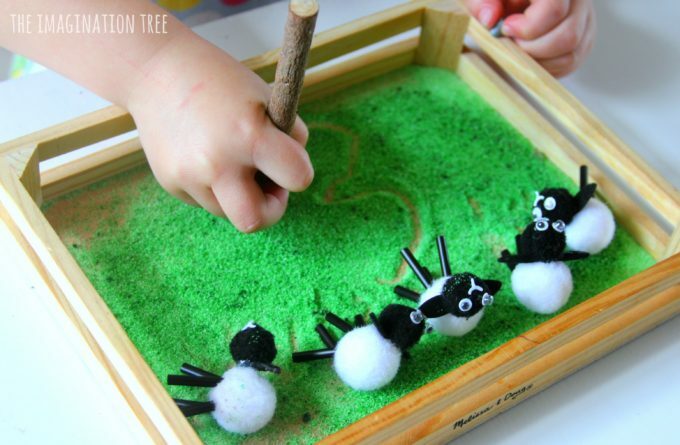 Lovely for an animal themed learning activity for little ones. 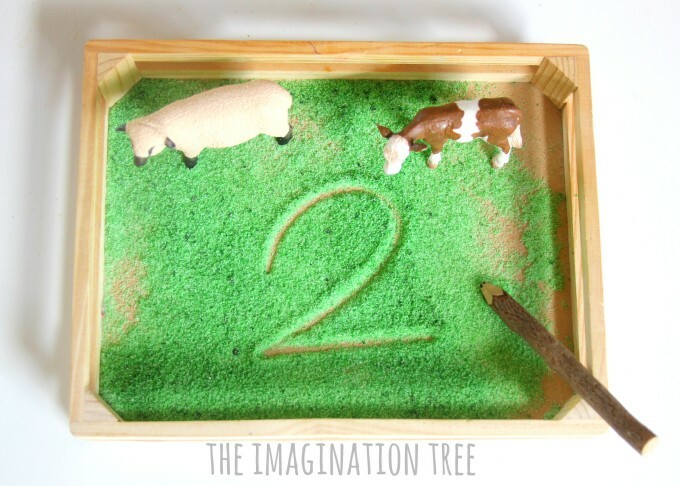 Here’s a super simple little invitation to play tray for preschoolers who love farm animals! 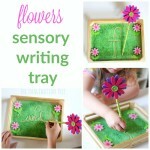 We regularly create sensory writing trays and have so many published on here for you to browse through for inspiration now! 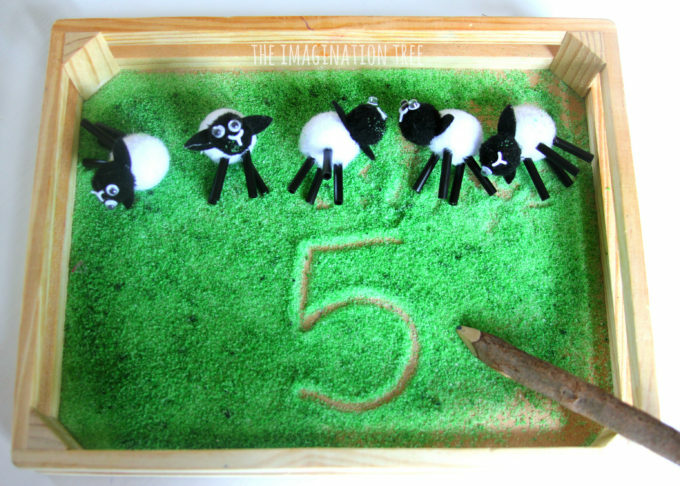 This farmyard sensory counting and writing tray has more of an early maths theme and is a fabulous way to practise counting, 1:1 correspondence and writing numerals in a fun way. As you know, I have a very strong dislike of worksheets and never once used them in a decade of classroom teaching. 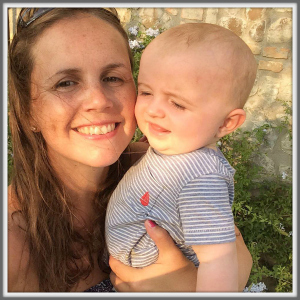 Children can practise all they need to in a kinaesthetic, hands-on and playful way and in a style that much better suits their sensory needs. For this little tray we dyed some salt with green gel food colouring and mixed it together in a zip loc bag until the colour was evenly dispersed. 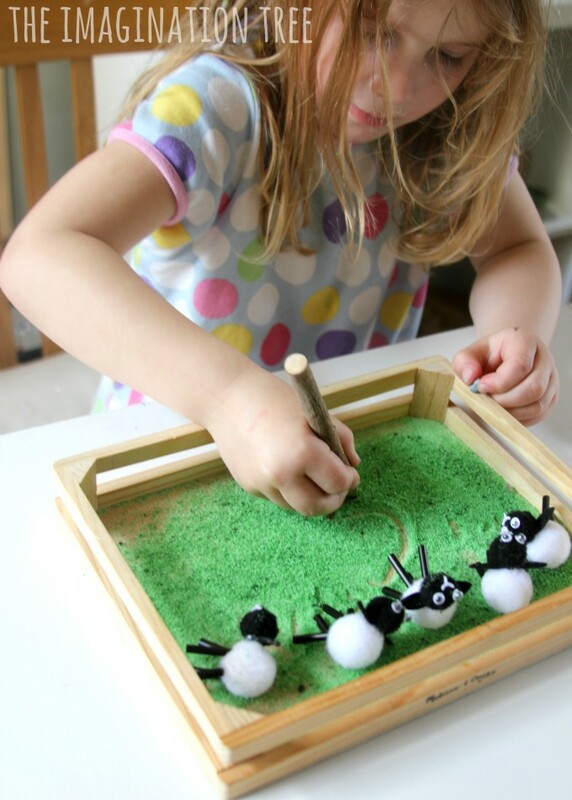 We left it to dry in a tray for an hour and then added a thin layer of it to this wooden tray (which was originally packaging from this Melissa and Doug toy!) 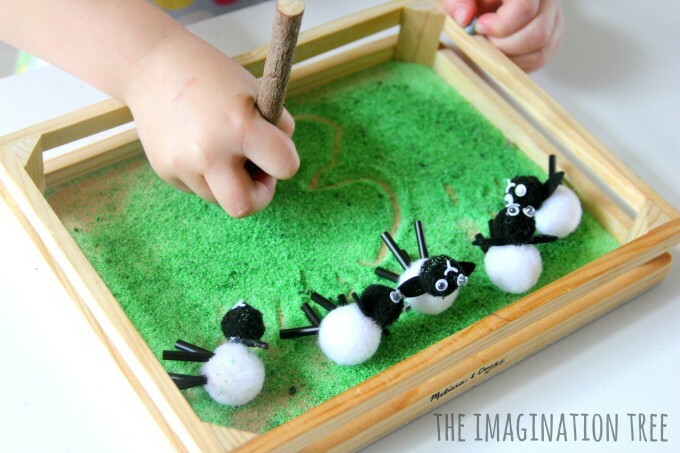 The tray looks like fence panels so is perfect for all farm themed play set ups. 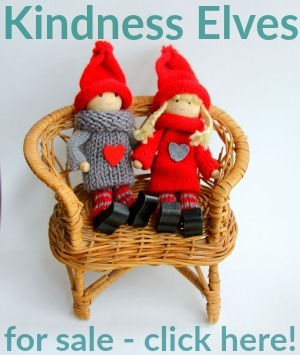 We then added some cute little sheep which we found in a £1 shop last Easter, as well as some toy farm animals. 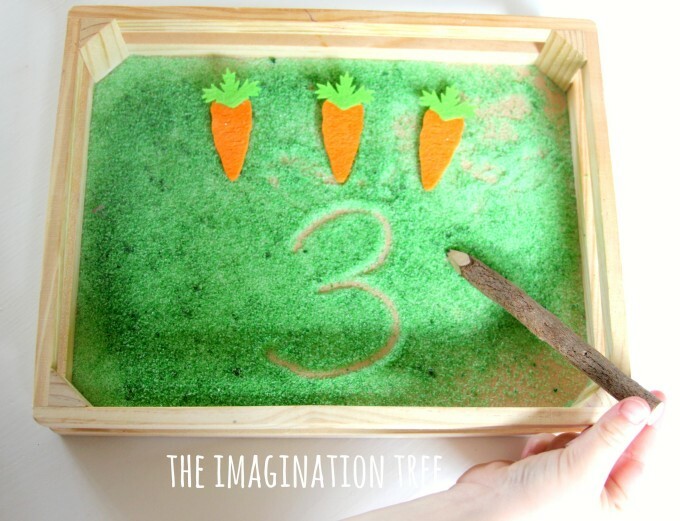 The adorable tree branch pencil was a cute addition for a mark making tool. She firstly practised writing her name as, since it has a LOT of letters, she was still mastering it at the time! 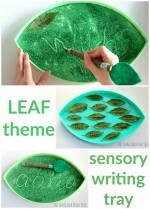 She also enjoyed simple mark making and copying patterns which are an important pre-literacy skill. She chose the animals she wanted, then simply counted them using 1 to 1 correspondence (meaning that she either touched or moved them as she spoke the number) and stated the total amount. 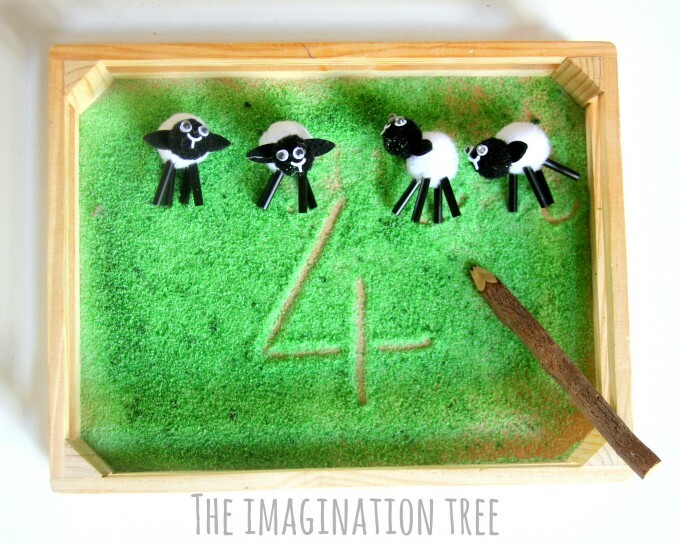 She then had a go at writing the correct numeral for each total amount, sometimes needing the formation to be modelled. Her older sisters enjoyed writing messages to each other in the tray and then I challenged my eldest to set up some addition problems for the others to solve too. We also used some cute felt carrots and bunnies from some of our Easter set ups. 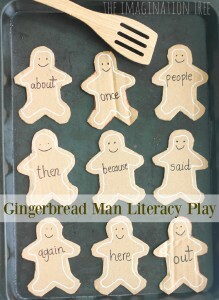 I think when we re-do this for Mr 2 in the future we will need to add tractors for sure! 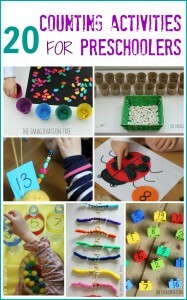 If you liked this super simple sensory learning through play activity you should check out both the PLAYFUL MATHS archives and the TODDLER PLAY activities that are in the archives- there are many to get you started with! 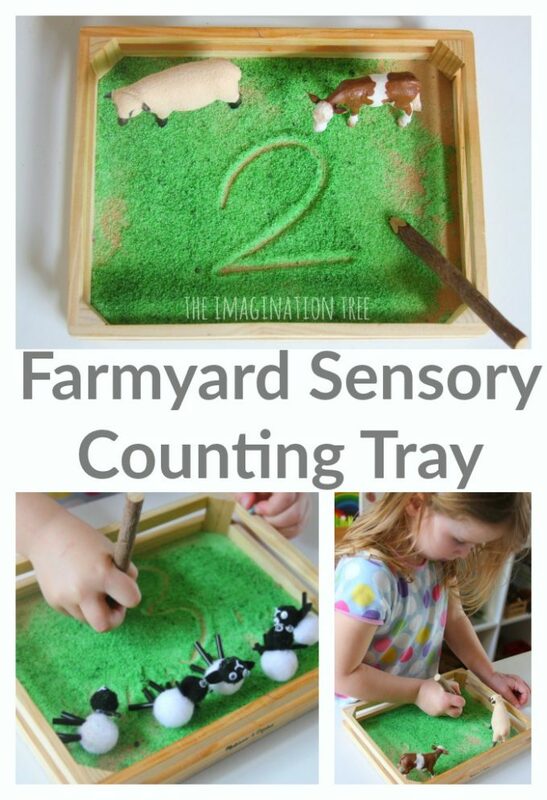 If you liked this farmyard sensory counting and writing tray please share it with others! Thanks so much. 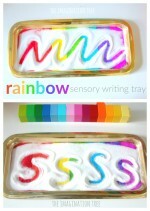 Find all our many SENSORY WRITING TRAY themes for all ages here.